The series highlights Andrew’s ground breaking exploration of multiple embouchures which come to full fruition with the world’s most revered flute, the 24K Gold Muramatsu, which was handcrafted especially for him by the legendary Hiroshi Aoki. Andrew Day’s sound of unprecedented depth and power returns full throttle in the final concert of the series. ‘Shattering Sonatas’ features a program of now standard 20th Century Duo Sonatas which he approaches with a charisma and unparalleled command of his instrument that elevate the flute from Prokofiev’s ‘bird’ to a fully-fledged solo instrument deserving of taking centre stage. 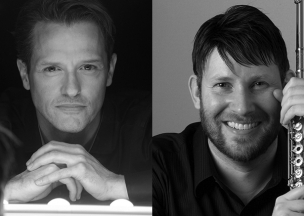 As an acclaimed soloist in his own right, pianist Timothy Young is an equal partner, drawing on the depth of his musicianship and his rare musical insights in the interpretations of these Duo Masterworks. 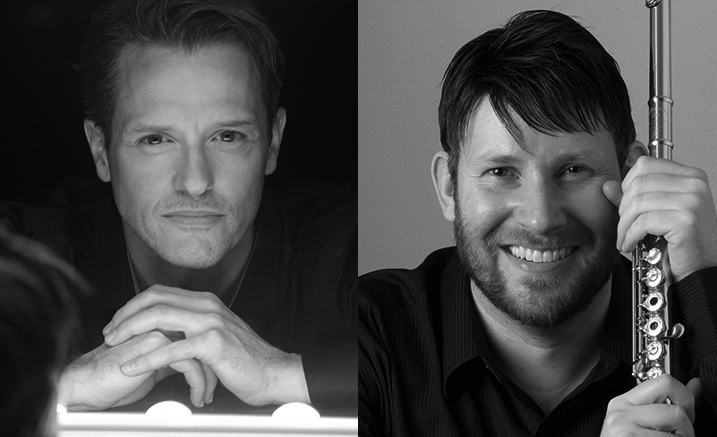 With a collaboration spanning over a decade, Andrew and Timothy create a musical momentum that grips audiences for the entire journey.